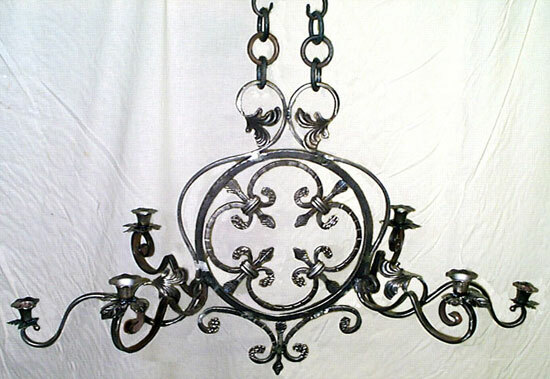 Forged steel hanging candelabra. Holds six candles. Traditional design inspired by 1860 French Candelabra.